What Barriers Stand in Your Way to the Polls? The methods are far less conspicuous than fire hoses and more legally ambiguous than poll taxes and literacy tests. A group of elderly nuns were turned away from the polls on May 6 because they didn’t have the proper photo ID. Based on election law in Indiana, where the nuns attempted to vote, they could cast a provisional ballot. But the sisters said they couldn’t make it to the motor vehicle branch in 10 days to complete the process, so they went home without voting. Now were these fraudulent voters or, worse yet, felon nuns? Truth be told, a million Americans were likely prevented from voting for similar reasons in U.S. primary elections this year. Many more will be turned away in November, and there’s a good chance that unlike the nuns in Indiana, most of those denied the right to vote will be racial and ethnic minorities likely to vote for a Democrat. Despite the lack of evidence that massive voter fraud on the part of individual voters actually occurs, state lawmakers — mostly Republicans, although some are Democrats — in hotly contested swing states have attacked the issue with vigor. Their policies, while aimed at rooting out fraudulent voters, have denied far more legitimate voters their constitutional rights than they have nabbed or prevented actual criminals. Such policies arise even in states where voter fraud carries stiff penalties, such as felony charges. Still, their vigor suggests, more laws are needed. Citizenship requirements and photo ID laws, which the U.S. Supreme Court recently upheld, are the tip of the iceberg. States tackle so-called fraudulent voters in numerous other ways — from frequently cleansing registration lists to restricting get-out-the-vote drives. The disproportionate effects of these policies on minorities are well documented by groups such as Project Vote, the Brennan Center and the Advancement Project, all nonpartisan voter rights groups. Out of all the states, Florida is the most hostile to voters, according to the three groups in a recent editorial. Ohio and Pennsylvania — also important swing states come November — are fairly draconian too, they say. Other states are more lenient or allow greater ease for voters to fix the name on their registration even after they’ve voted in some states. “It’s a device that Florida has decided to make into a barrier to voter registration,” Westfall said. The Advancement Project, among others, sued Florida Secretary of State Kurt Browning to loosen the no-match restrictions, but the U.S. Court of Appeals for the 11th Circuit in April ruled in favor of the state. An analysis of new voter applicants submitted to the court as part of the case in December 2007 showed the no-match requirement disaffected minorities. The records, covering the past two years, showed that 66 percent of new applicants were white, and they accounted for 17 percent of those who didn’t match. Hispanics, on the other hand, comprised 16 percent of all new applicants but represented 39 percent of the still unmatched category. Blacks, too, represented a larger percentage of those still unmatched than they did new applicants. Florida has other restrictive policies that put burdens on voter registration drives. One law requires that applications be returned no later than 10 days after they are completed, or the group may face a $1,000 fine. A lawsuit filed by the Brennan Center in April challenges this state policy. A federal judge will likely hear the case in June. While policies like Florida’s no-match, no-vote law might keep people from registering to vote, states also use voter-roll “cleanups” to purge hundreds of thousands of Americans already on the registration lists. In Ohio, for instance, 300,000 people were purged before elections in 2004. As part of the National Voting Rights Act, states must perform regular maintenance of their voter rolls. A typical reason might be to look for ex-felons, whom many states bar from voting. But just how often those rolls must be cleaned, and how stringently, is up to state law. Every state is required to keep an inactive voting roll, and only after those people haven’t voted for two years and are proven to have changed residence can they be completely purged. During the Bush administration, the Justice Department urged states to purge registrations as much as possible to stamp out voter fraud. Anyone denied the vote at the polls has the right to fill out a provisional ballot. Established by Congress after the 2000 election and intended as a safety measure, provisional ballots instead turned into the greatest generator of uncounted votes. In 2004, out of nearly 2 million provisional ballots, one in three were uncounted, thrown out like constitutional confetti. An analysis of the 2006 election found similar results. One benefit of close elections in recent years is that more people are watching. The National Campaign for Fair Elections mobilized more than 2,000 legal observers in 10 states and fielded more than 6,000 calls on five of the largest primary days. Director Jonah Goldman testified before Congress May 10 about problems in the recent 2008 primaries. He said that inaccurate registration lists were one of the top four themes in denying otherwise eligible voters their constitutional rights. Other problems involved undertrained poll workers, voting technology malfunctions and identification requirements. The very notion that widespread voter fraud exists is a partisan issue. Republicans generally believe that massive get-out-the-vote campaigns by Democrats create loads of fraudulent voters. Democrats tend to downplay the effects, pointing to the single-digit number of cases each year that are actually prosecuted. While it’s mostly a GOP bugaboo, there is one notable Democratic example. Republicans launched 1,000 poll watchers in Pennsylvania in 2004, where rules had recently been changed to allow partisan poll watchers to circulate beyond the precinct in which they are registered, a change approved by Democratic Gov. Ed Rendell and a legislative house controlled by Democrats. Congressional hearings last year into the firings of federal prosecutors revealed just how politicized the Justice Department has become in targeting alleged voter fraud while ignoring issues of disenfranchised minorities. After five years pursuing widespread voter fraud, the department came up empty. Allison Hayward, assistant law professor at George Mason University and former counsel to Republican Federal Election Commissioner Brad Smith, agrees that massive voter fraud probably does not occur. But it may have swayed extremely close elections, she said, though she couldn’t point to any recent case where it was proven. While enacting policies to prevent voter fraud is a good idea, says Hayward, more times than not, states have done what’s least expensive and not what’s most effective. Proving in court that laws are unconstitutional because they disproportionately affect racial minorities is a difficult argument, according to Hayward. For one thing, “The research is really bad in this area.” Studies that point to the makeup of those who lack government-issued IDs, for instance, don’t accurately account for how many are likely to vote, she contends. In 2004, the Republican Party carried out voter caging to a degree unseen in recent decades. There’s no reason to believe that 2008 will be any different, say voter rights advocates. Caging works like this: Send nonforwarded junk mail to registered voters and use the returned mail to compile lists of voters, to challenge their eligibility on or shortly before Election Day, depending on the state. At least 77,000 voters had their eligibility challenged this way by political operatives between 2004 and 2006, based on a September 2007 report by Project Vote called “Caging Democracy: A 50-Year History of Partisan Challenges to Minority Voters.” Based on analysis of the list of caged voters in Ohio, Florida and other states, the mass challenges in 2004 predominantly targeted new voters in heavily urban, largely minority districts. Some names on the lists were addresses of homeless shelters. Based on reports by Greg Palast, others were college students and U.S. servicemen who never received the mail because they were in Iraq fighting a war. Republicans weren’t shy about their efforts in Ohio in 2004, having called a press conference just days before Election Day to display the boxes of returned junk mail. These days, Republican officials are less likely to discuss possible upcoming efforts against voting fraud. Requests by Miller-McCune.com for comment to state Republican parties in Ohio and Florida, as well as the Republican National Committee (RNC), were denied. The tide doesn’t only go one way, though. Washington and Minnesota are two states where lawmakers made partisan caging more difficult. Katherine Gordon, press secretary of the Republican Party of Florida, explained why she couldn’t comment on their efforts to address the issue. “Many of our grassroots and Election Day activities are part of the overall strategy, and we would like those to remain off the record,” she wrote in an e-mail. The concept of partisan challengers arose from the need for poll watchers, said Hayward, former FEC counsel. Poll watchers were supposed to backstop partisan election judges. “If what they want to do is say to states they can’t allow this in the polling place, they must have something that substitutes for the conflict of interest of election judges,” Hayward said. To challenge your right to vote on the basis of race is illegal based on the Voting Rights Act and the Constitution, but so far, cases brought to court by voters have yet to be upheld in court for more than 20 years. Two cases in the 1980s in which the RNC agreed to consent decrees against caging give opponents some legal footing. And while those caged are more often minorities, Hayward explained, other correlations provide legal rationales for targeting. “Any time you do voter caging, people who were moving around a lot, who have the bad addresses, are often going to be new immigrants or poor people,” she said. Since the 2004 election, Florida, Ohio and Pennsylvania have each made it easier on the part of the challenger and more burdensome for the challenged. 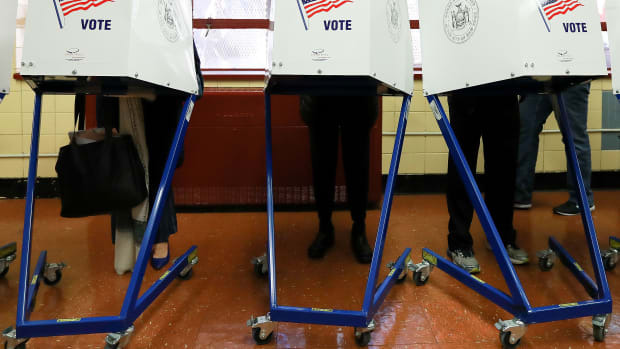 That’s the exact opposite of what the government should be doing if it espouses to defend voting rights, said Eddie Hailes, senior attorney at the Advancement Project. Hailes will be watching Ohio closely. He was involved in fighting the Republican Party’s large-scale challenges in the state in 2004, which were eventually allowed by the Supreme Court on the day before the polls opened. In Florida, election law changes in 2005 stripped the ability of the voter to refute a challenge at the polls. The voter is given a provisional ballot with just two days to prove his case. In Ohio, election law changed in 2006 to eliminate partisan challengers at the polls. Instead, all challenges must be submitted before Election Day and brought before an election board, but the challenged voter doesn’t have to be notified. The voter then has the burden to prove he’s eligible at the polls or vote with a provisional ballot. Rep. John Conyers, D-Mich., is a lead sponsor in the Voter Caging Prohibition Act that would make mass partisan challenges illegal. But it’s uncertain whether the bill has the political momentum to take effect before Election Day. Advocates, such as those at the Advancement Project, have instead turned their efforts to educate state and local officials about current law. Research shows how poll workers on the front lines of elections affect voter confidence. 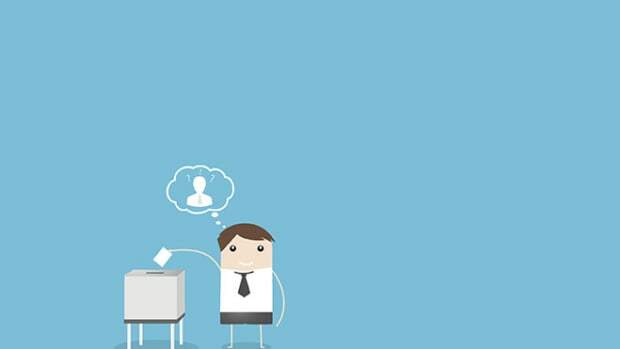 Does Your Right to Free Speech Extend to the Polling Booth? The Supreme Court is now hearing arguments for a case regarding a Minnesota law that bars political clothing at polling booths. Researchers argue the physical location of the polls not only affects how many people vote; it may also influence last-minute decisions regarding which box to mark or lever to pull. Secretive, error-riddled methods for cleaning up the voter rolls and how the Help America Vote Act isn't helping.